Trying to block a nuclear deal with Iran, Israel’s high-level officials held talks in Paris on Monday and are in London today. Talks between Iran and the 5+1 Powers (US, Britain, France, Germany, China, and Russia) resume on Thursday, including a meetingt between Iranian Foreign Minister Mohammad Javad Zarif and US Secretary of State John Kerry, in Switzerland. The two sides seeking an agreement by an informal deadline of March 31. France reportedly hindered a resolution last week in five days of discussions in Lausanne. Its delegation insisted that the deal on the table offered too many concessions to the Iranians, for example, over the lifting of US-led sanctions and the duration of the agreement. Paris told the media that Foreign Minister Laurent Fabius had called his negotiators to ensure that there were no further compromises. 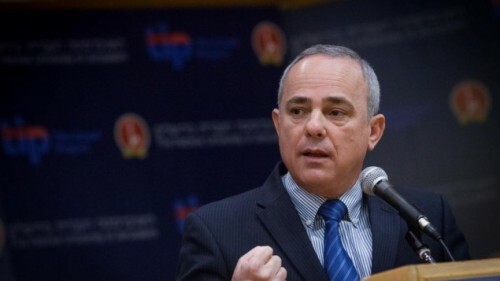 Israel’s Intelligence Minister, Yuval Steinitz, said on Monday night that talks with the French national security adviser, Jacques Audibert, and France’s nuclear negotiating team were “serious and profound”. Steinitz said, “We think it’s going to be a bad, insufficient deal,” so he and Israeli National National Security Advisor Yossi Cohen were “point[ing] to specific loopholes and difficulties”. The Intelligence Minister specifically mentioned concern that Iran would be able to research and develop new generations of uranium centrifuges, even though the reported draft deal bars their operation. The French Foreign Ministry said only that the meetings were “normal bilateral discussions”. Saudi Foreign Minister Saud al-Feisal added that Iran should not be given “deals it does not deserve”. PreviousSyria Daily, March 24: How Many Regime Troops Were Killed by Islamic State in Hama Province Last Week?